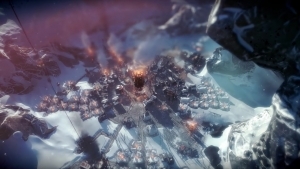 The first of its kind, Frostpunk is a society survival game. You are the ruler of the last city on Earth, and it’s up to you to manage the people and the infrastructure of the city itself. Your decisions will ensure prosperity and survival, or damn them to failure and death. Who will you become when pushed to the breaking point? Will you break under the pressure, or save the citizens of your city? 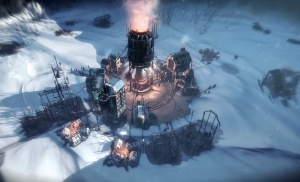 “From This War of Mine to Frostpunk, we’ve evolved our game’s content to robustly explore player’s morality deeper and more in-depth than ever before. We’ve been searching this fascinating gray-area, where nothing is purely good or evil. You, as a player, need to make decisions based on your moral compass and ability to foresee the consequences of your choices. 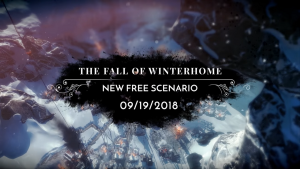 From deciding the fate of individuals to deciding the destiny of an entire society – that was the creative process of Frostpunk. That’s how I’ve watched this game develop into a story about the price of power; about the responsibility of being a leader. That was a challenging project, but I’m delighted to see its premiere today and I’d like to express my big thanks and respect for the team at 11 bit studios for making this game as it is,” says Grzegorz Miechowski, CEO at 11 bit studios. “I hope it’s just the beginning of a long journey. We already have a ton of ideas and plans to add new scenarios to the game and vastly expand the universe,” he adds.